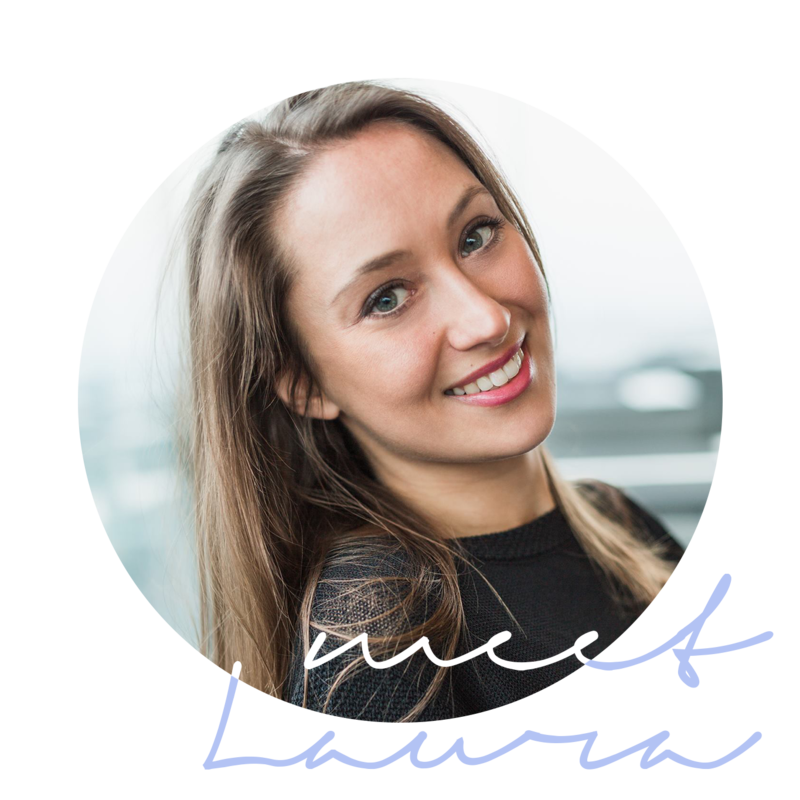 Get to know my favorite greek island! 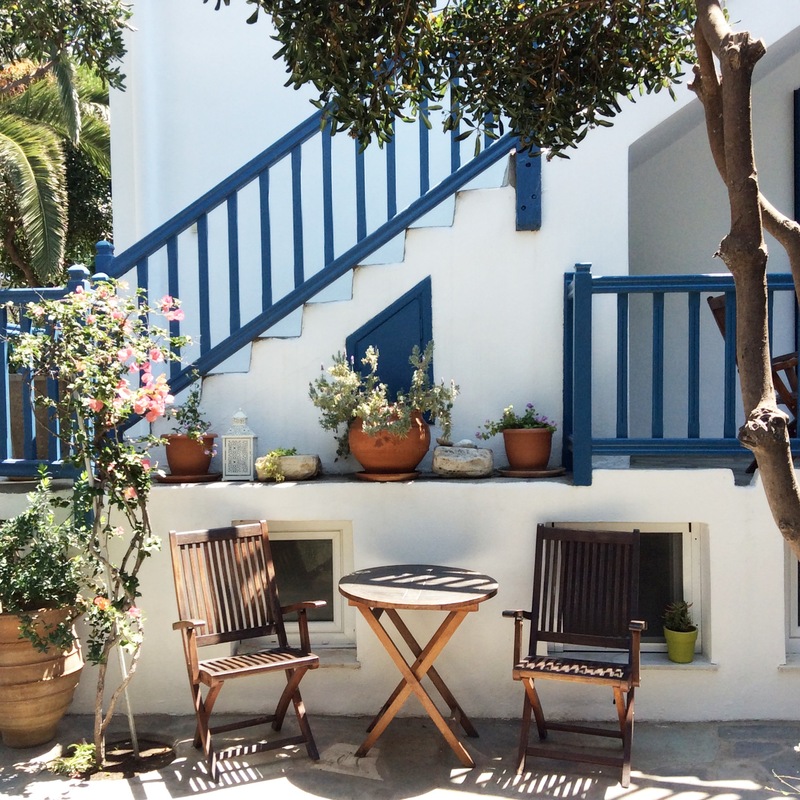 A beautiful island in the Cyclades, which looks just like the postcards: white little houses with flowers and blue windows and doors, hand painted streets, windmills, lots of little churches and wonderful restaurants and cafes. 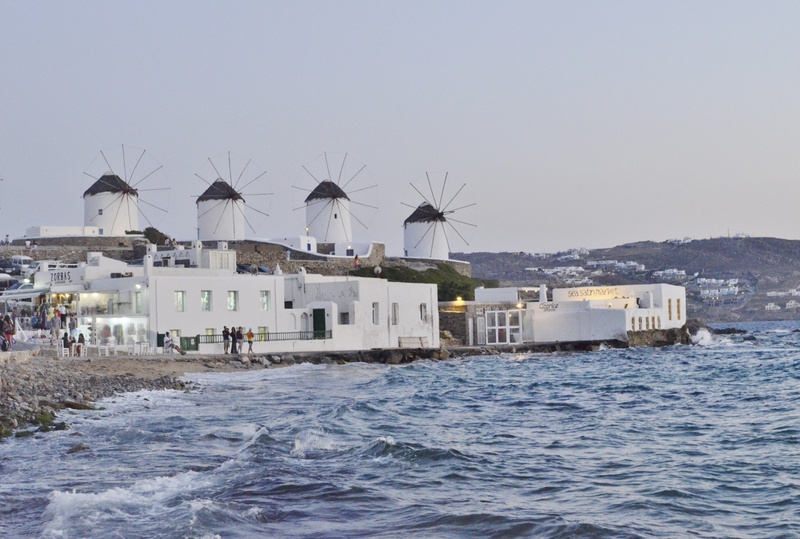 The Island of Mykonos is part of the cyclades and is certainly the most famous among the islands of greece. 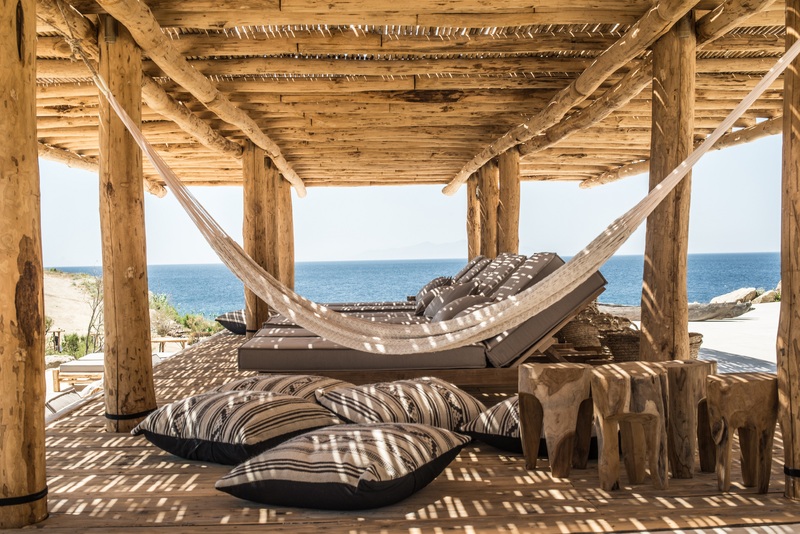 The island is known for its partys and nightlife, but also its nature and its beautiful sea, and the possibility of numerous excursions from the capitol of Mykonos. 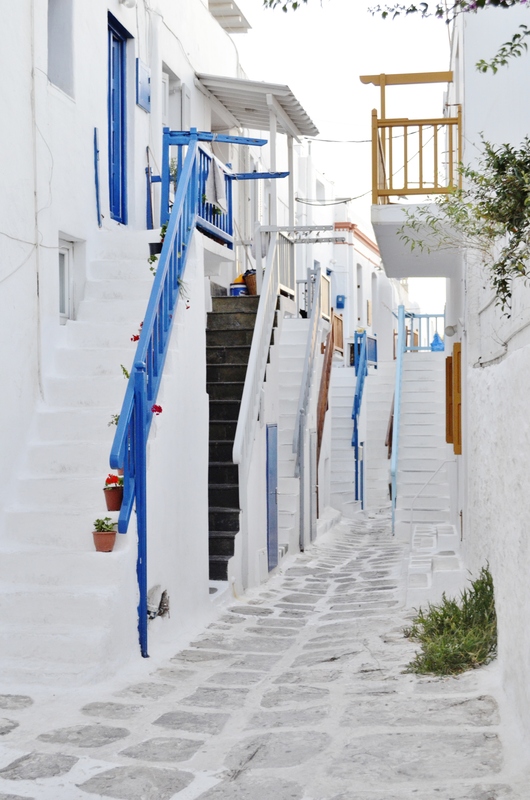 One symbol of Mykonos town is Little Venice, so called because the houses with their balconies are built above the water and give the impression of floating on the sea. Absolutely not to be missed: the sensational sunset with the gold wavers breaking on Mykonos´promenade. 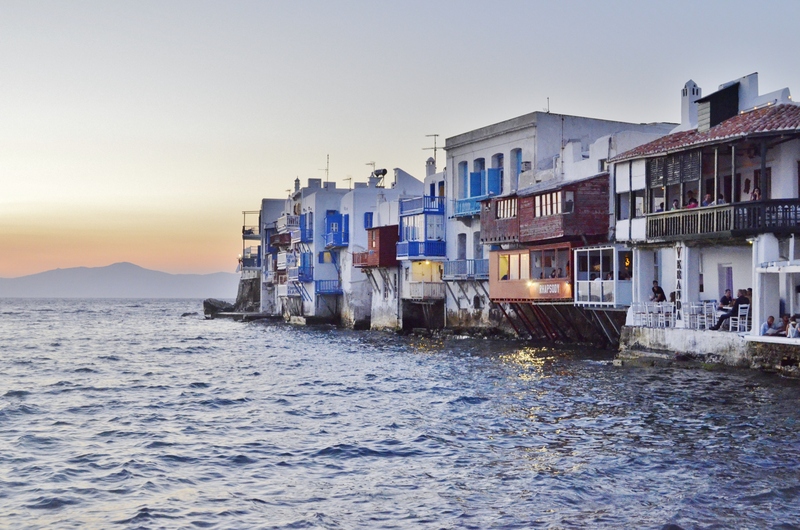 After getting a “sundowner” drink in Little Venice you can stroll through the narrow streets, where you find trendy boutiques and amazing restaurants. 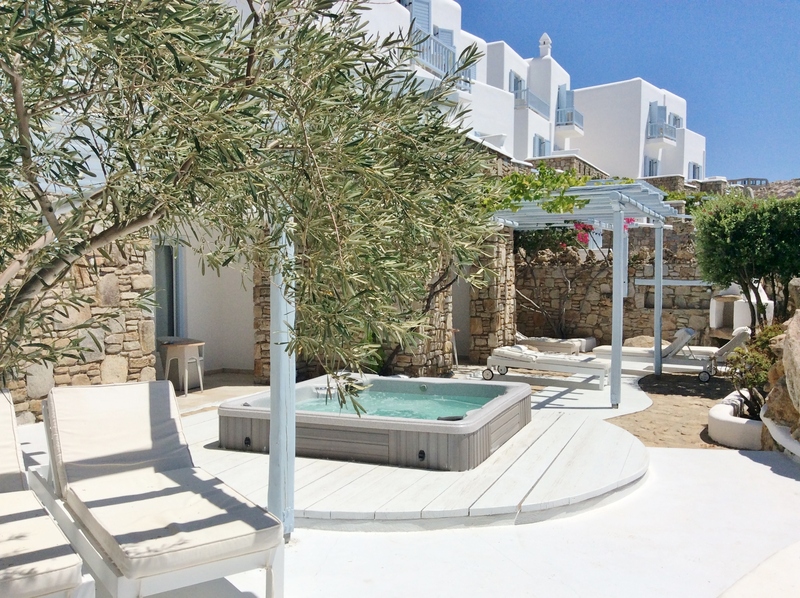 Mykonos is know for it´s luxury hotels, resorts and beach clubs. 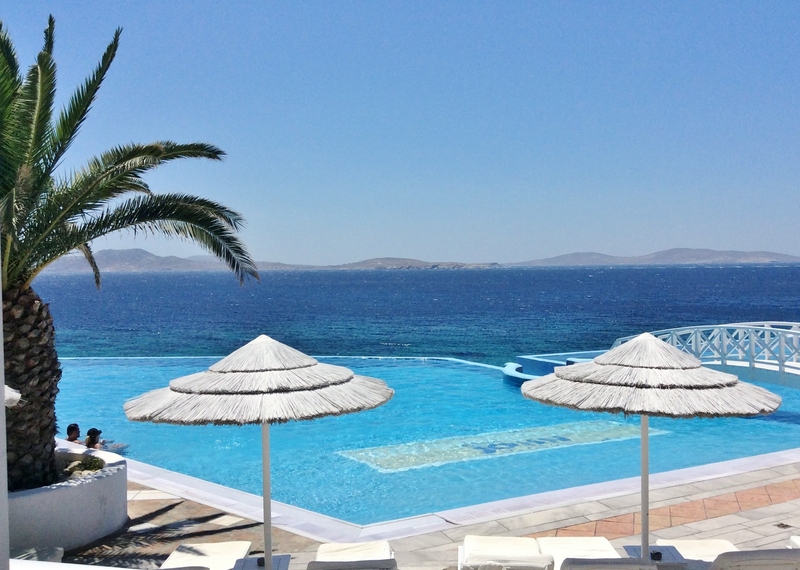 If you can afford it, the ***** Saint John Hotel & SPA in Agios Ioannis leaves no wishes unfulfilled. 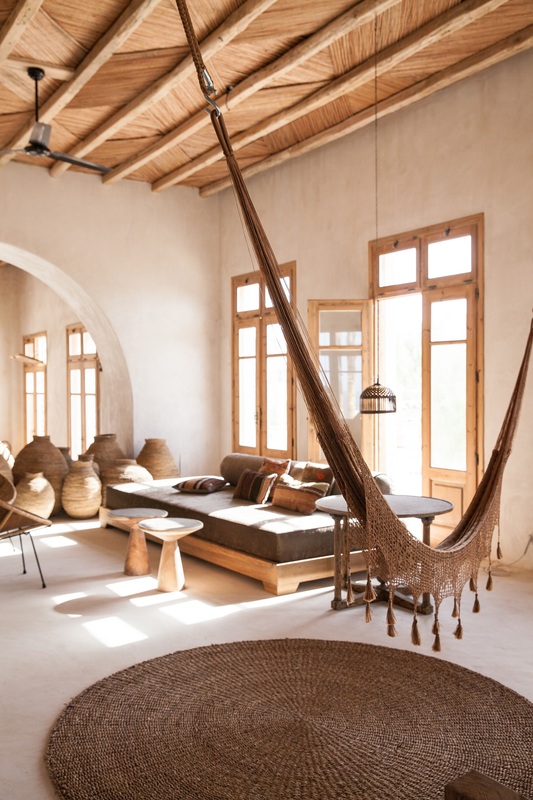 For those of you who come to Mykonos for it´s famous parties and are not planning to go to bed early, the stylish designer Hotel Terra Maria is a great place to stay. 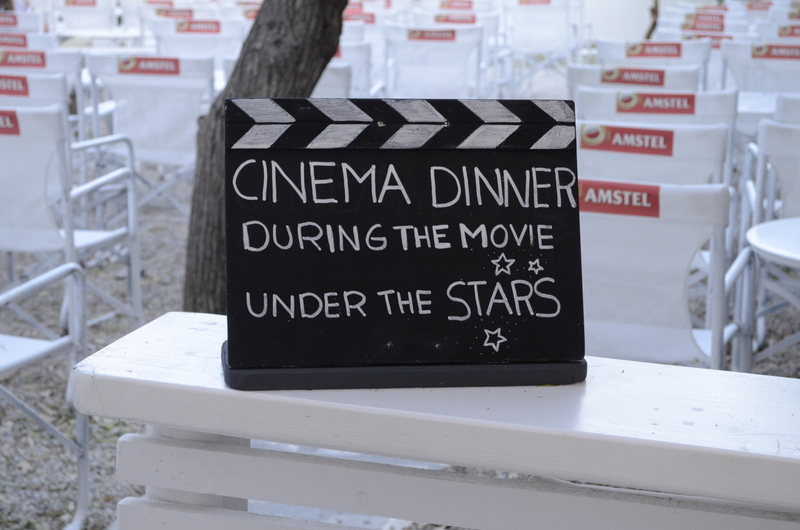 It is located in the city center next to a open air cinema. The Matina Hotel situated in an quiet residencial area in the city center, is a family owned, very charming hotel with a beautiful garden. An affordable hotel with a great view is the Rania Appartment Hotel. 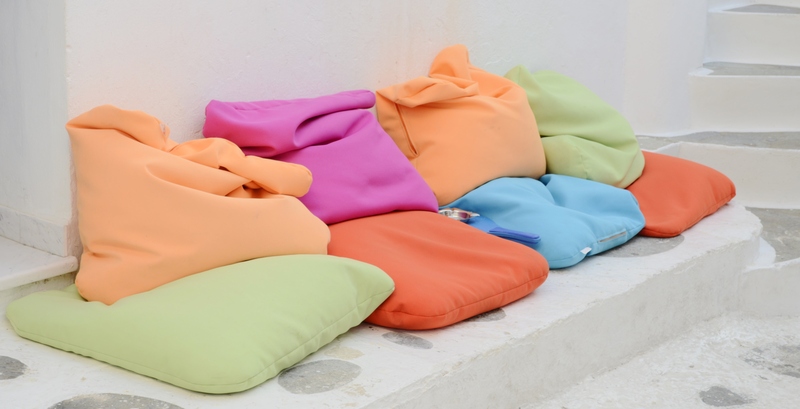 If you are looking for the famous Mykonos Party beaches: Psarou, Paraga and Paradise Beach. More quite, but organized beaches with sun-beds, umbrellas and great views over the Agean sea: Lia (very charming), Agrari and Agios Ioannis. Agios Sostis is a almost private beach, not organized. 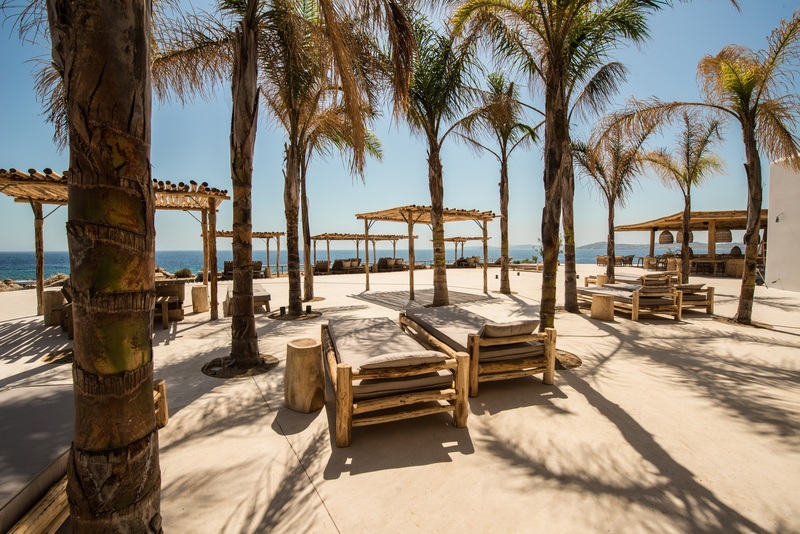 The Scorpios Beach Club is the best on the island and it´s unique, elegant interior is exceptional. Delicious fresh fish you find at the Fish Tavern Koynelas. The Uno Con Care Steak House & Oyster Bar, combines finely the treasures of the sea with those of meat. 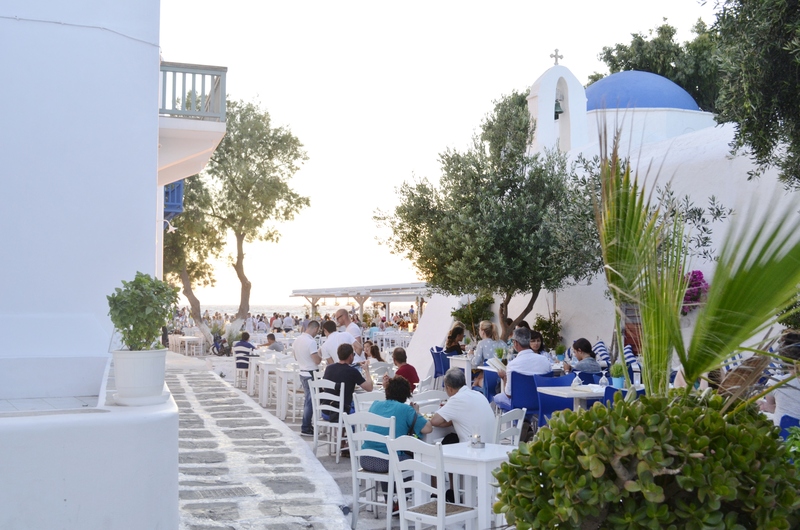 The Sale e pepe (Lakka Square, Mykonos town) is one of the best seafood Italian restaurants on the island. As main course i can highly recommend the branzino (sea bass) under a crust of salt. 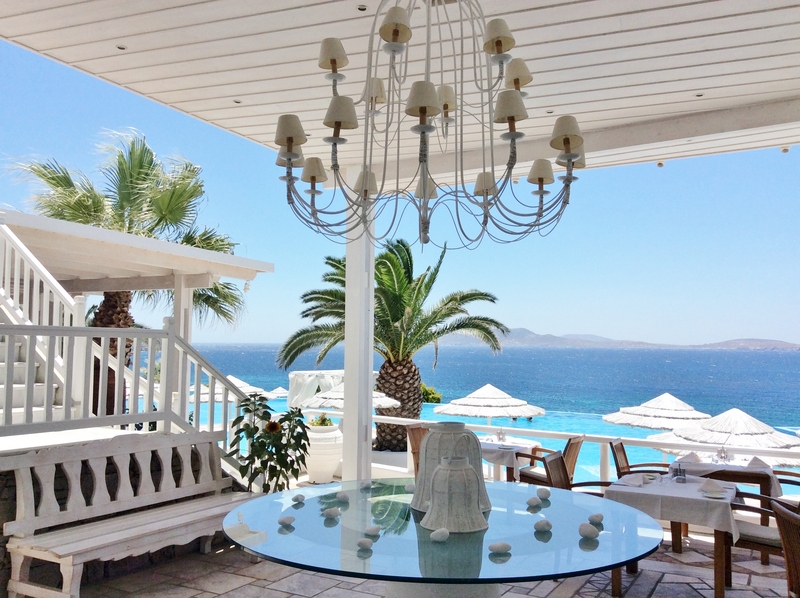 At the Remezzo you get excellent food and an amazing view of Mykonos old harbour. 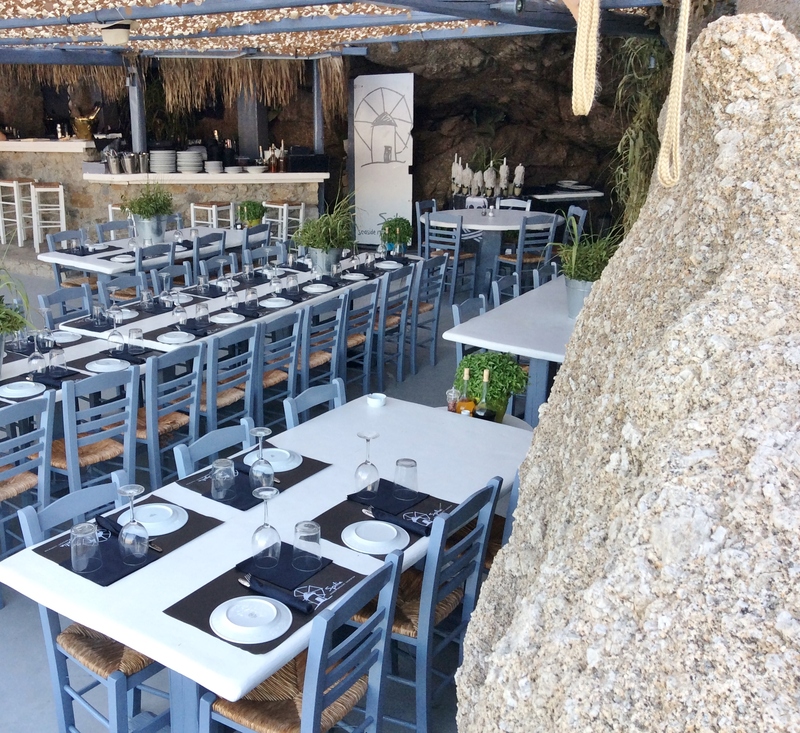 Two insider tips outside of Mykonos town: Kiki´s Taverna at Agios Sostis Beach, a small eatery that doesn´t have a sign, doesn´t have a phone and no electricity. As you wait to be seated, you can enjoy free wine and water. The place is open air with covering from the trees and everything is cooked on a grill right next to you. 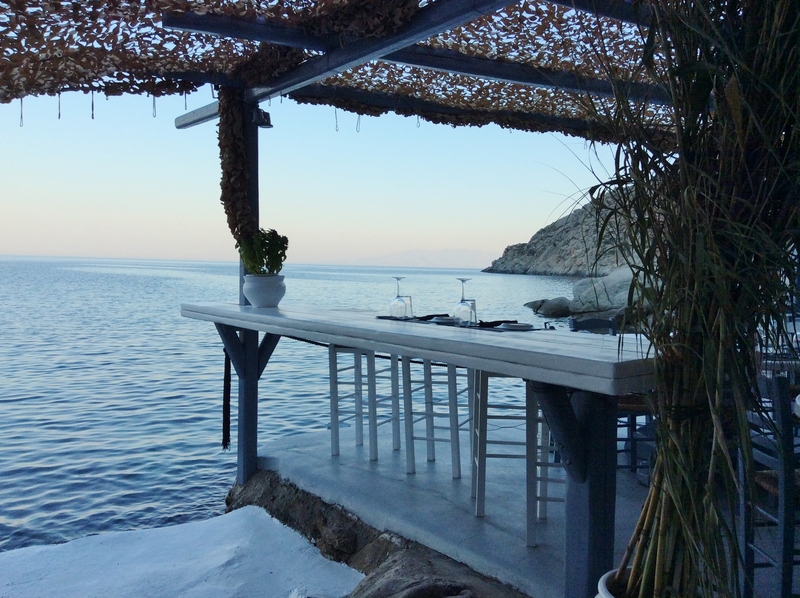 The location of the Spilia Seaside Restaurant at Agia Anna Beach is awfully beautiful and romantic, as it´s tucked into a cliff cave right next to the sea. 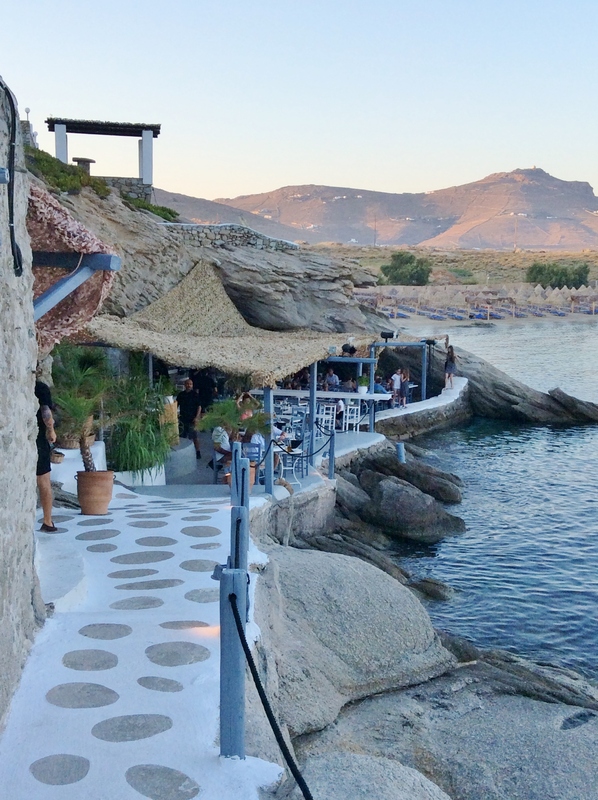 The nightlife is one of the main reasons that drives thousands of people to visit Mykonos, famous for its beaches and its nightclubs animated by international Djs – this island never sleeps and offers a large number of clubs open until dawn. 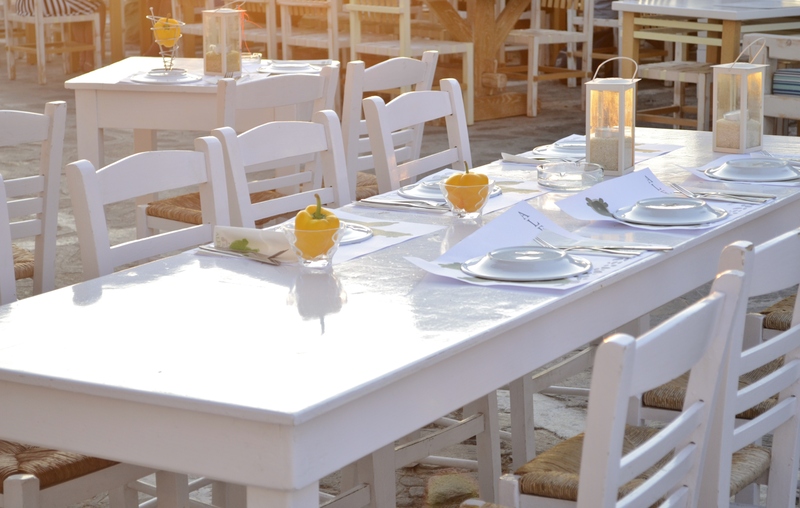 The “place to be” for sunset is the Caprice Bar, located in the seafront of Little Venice, one of the most picturesque areas in Mykonos Town. 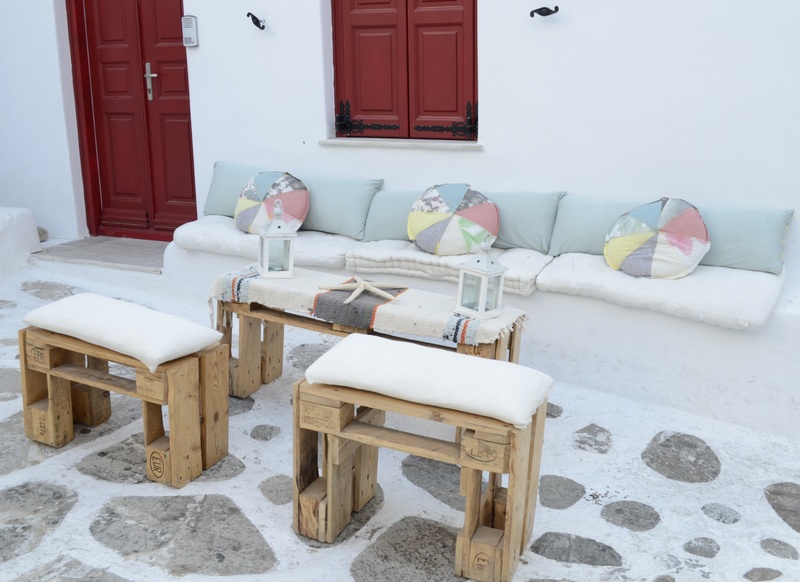 The bar has a bohemian decoration and a good choice of music which attracts the young and energetic crowds, both Greek and international. 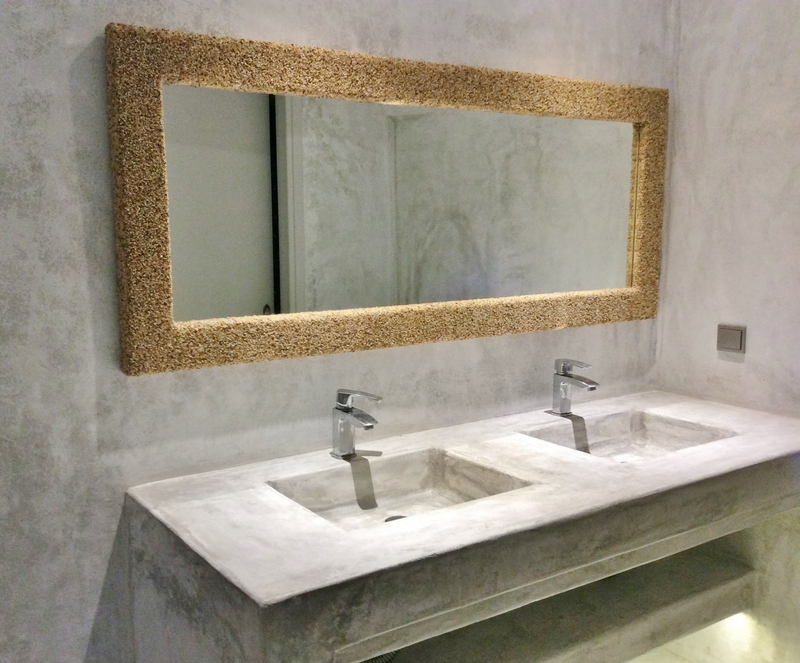 Right next to it you find the Semeli Bar, built on multi levels and with a stylish decoration. Later on the party continues at Cavo Paradiso Club, situated on the edge of a cliff overlooking the Agean sea and with a schedule of the biggest DJ´s of the scene. The Paradise Club on the Paradise Beach is the biggest nightclub on the island. 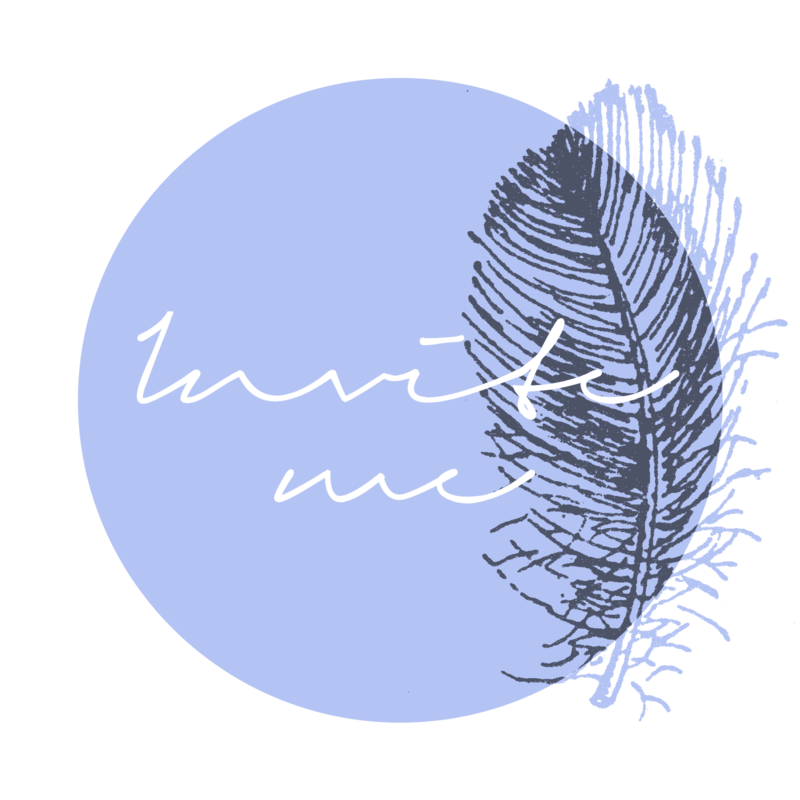 Your photos are wonderful, the colors look so clear that you think you are there! Very nice comments on the island! 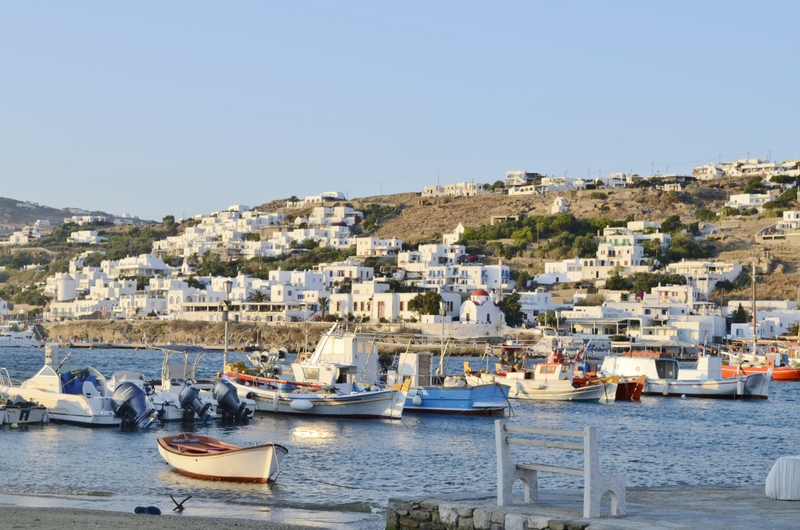 Indeed Mykonos famous for its night life, entertainment and Greek food, the islands may prefer and fish !! IF again visit the island Rent a car and take a tour on the island, and my advice Rent a boat and go across to Delos to see our ancient!